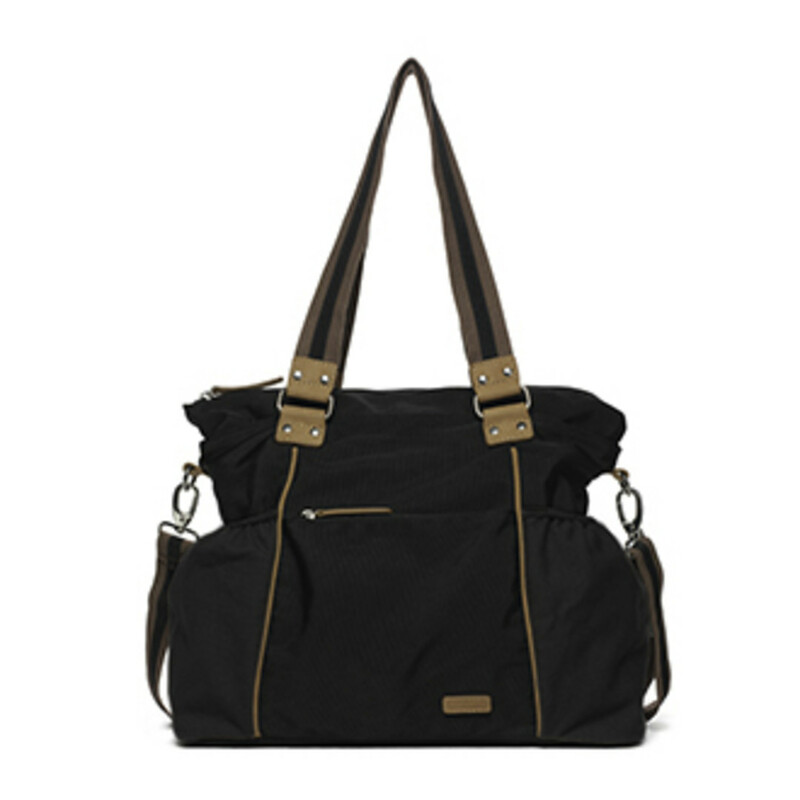 1 Heidi Carryall, Ellington Handbags Durable nylon twill with leather trim and features brushed nickel details. 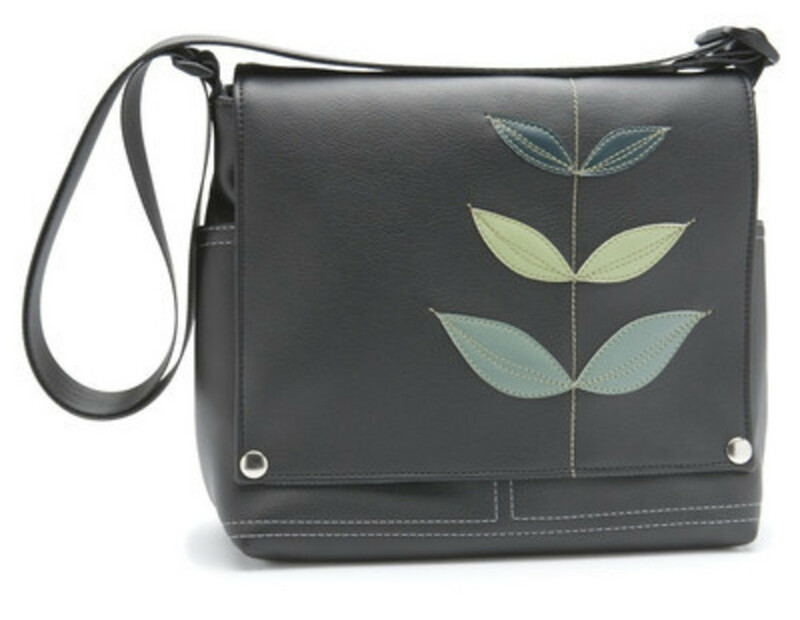 $109, ellingtonhandbags.com. 2 Northwesterner, Wood & Faulk Water repellant canvas, saddle leather accents, and metal studded base to protect your stuff from the rainy Portland weather. $199-$249, shop.woodandfaulk.com. 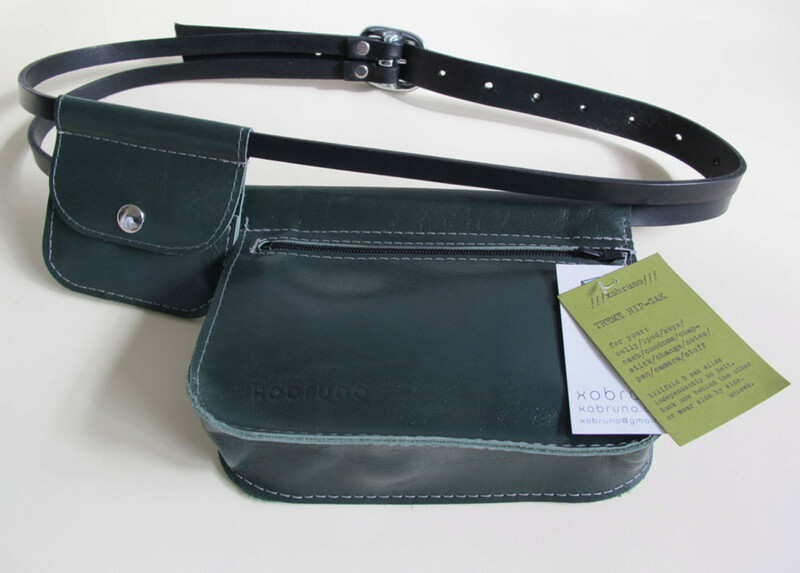 3 Treme Hipsak, XO Bruno An updated fanny pack, complete with a billfold and double strap design. $185, xobruno.com. 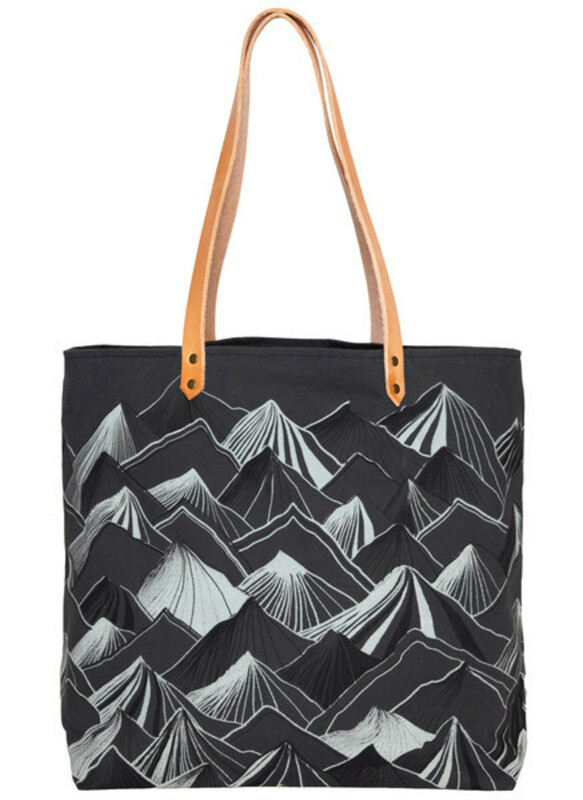 4 Mountain Tote Bag, Nell & Mary This organic cotton canvas tote features Nell & Mary's distinctive mountain pattern and sports antique brass rivets. $85, nellandmary.com. 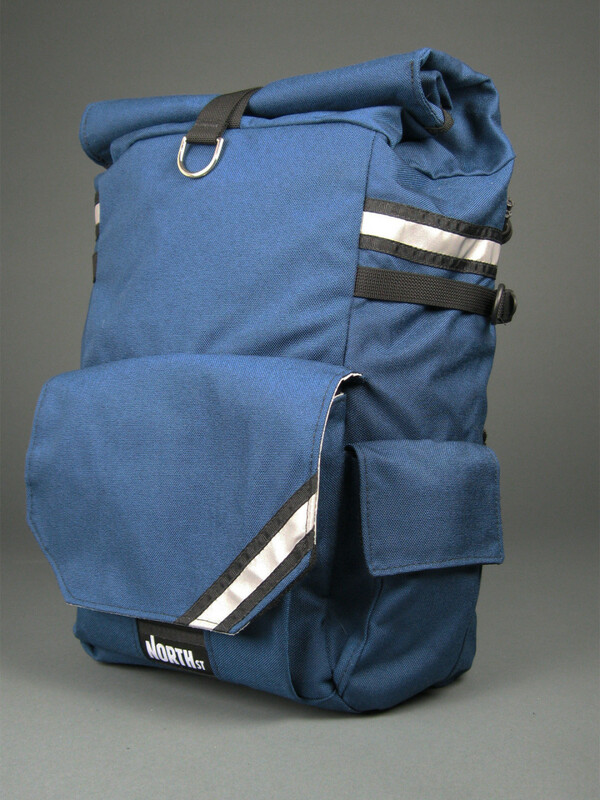 5 Woodward Convertible, North St. Switches from a backpack to cycling pannier in seconds, with external Velcro pockets, waterproof material, internal laptop holder, and side pocket for a bike lock or water bottle. $250, northstbags.com. 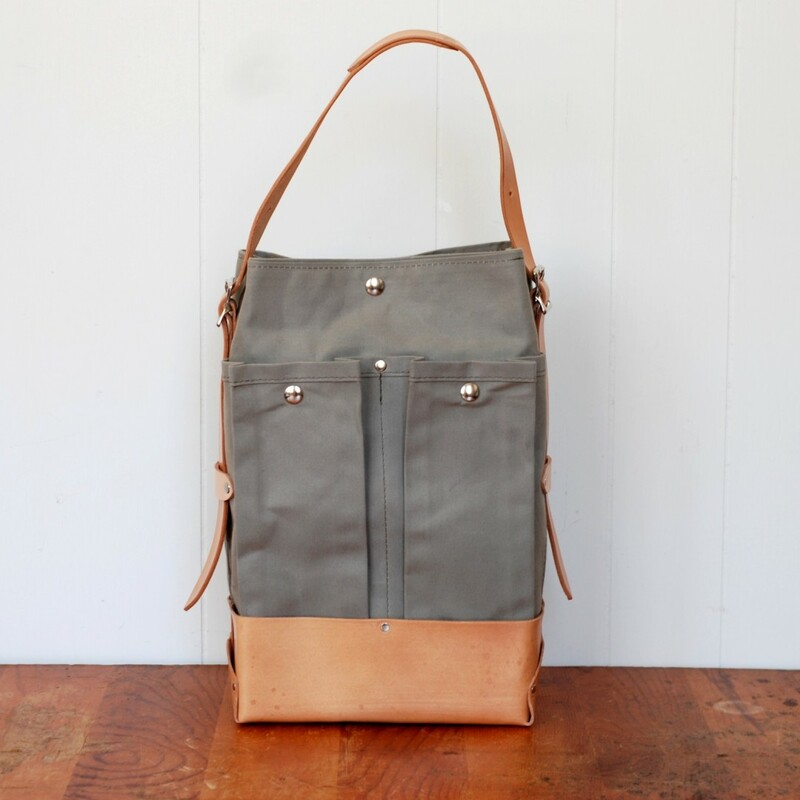 6 Leather Tote, Sketchbook Crafts With two exterior and four interior pockets to protect wallets and cellphones, this heather gray canvas bag sports a leather base and adjustable strap. $195, sketchbookcrafts.com. 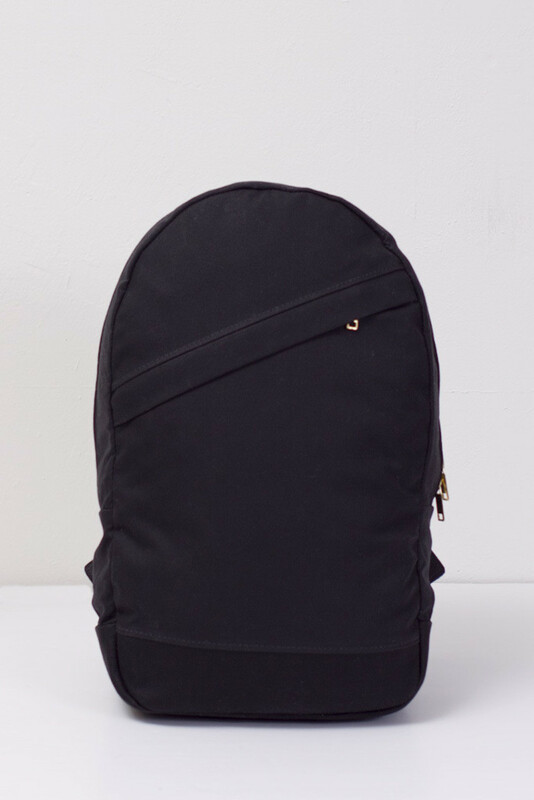 7 Pacific Standard Backpack, Bridge & Burn. This minimalistic staple backpack features a huge laptop sleeve with external access that can fit a device of up to 17 inches. 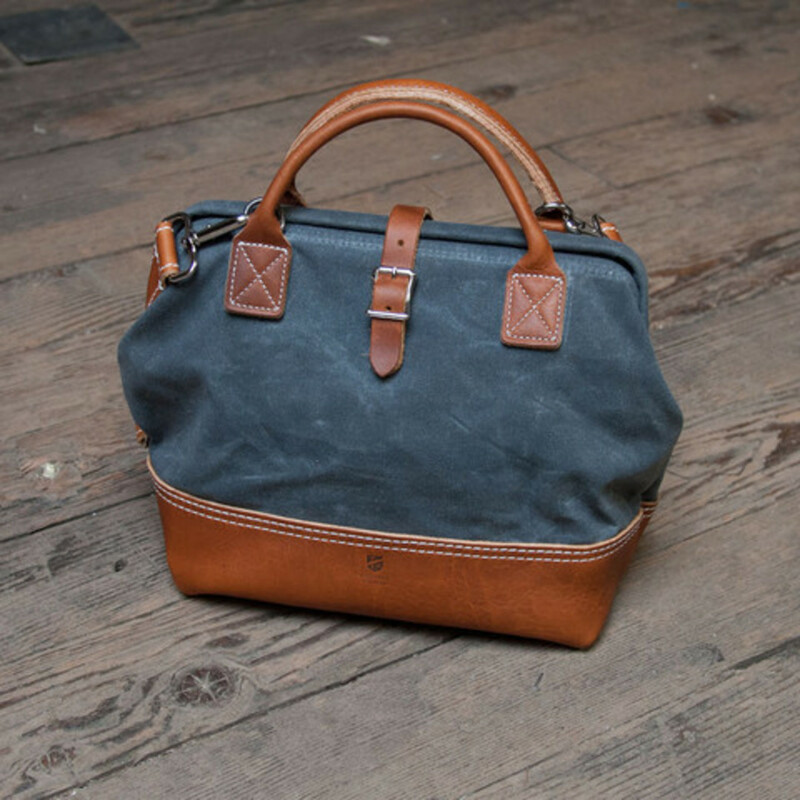 The waxed cotton construction features brass hardware and an internal key clip. $264, bridgeandburn.com. 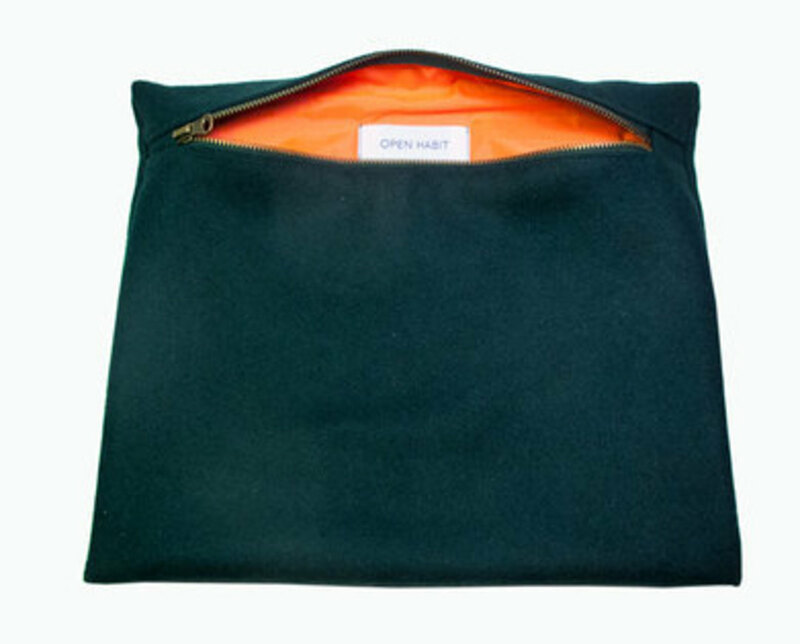 8 Woolen Clutch, Open Habit A rip-stop nylon liner adds a pop of color and protects the bag's external wool from damage. $60, cordpdx.com. 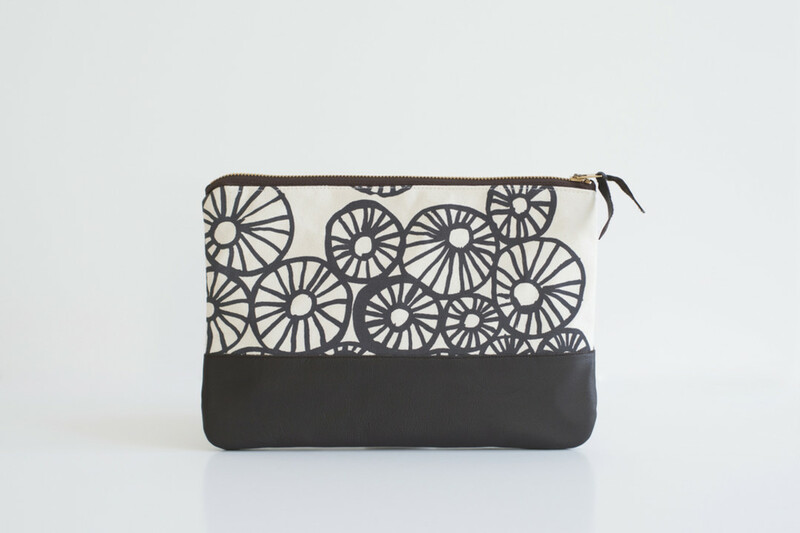 10 Charcoal Anemone Clutch, Anna Joyce Design A dark walnut brown leather base protects the bag's handprinted canvas from damage. $72, annajoycedesign.com.